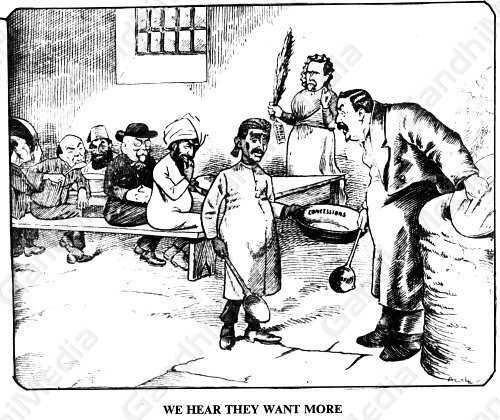 We Hear They Want More – 1909. The new Immigration Bill the Transvaal Government framed in response to the agitation against the existing Act was a great disappointment to Gandhi. He said it was worse than its predecessor and failed materially to give effect to the provisional settlement he had negotiated with the Government. He added: "The Bill confirms the suspicion that the Government only wants to give us what they must, that they wish ill even to those who have-established rights in the Union, and that by hook or by crook they want to encompass our ruin." He decided to revive the passive resistance campaign.